One day in January, my family in Adelaide (Australia) would gather together early morning, before frying your skin in the scorching Aussie summers, to make our annual tomato sauce. I am blessed in many ways but growing up as a first generation Italian in Australia is the best of all worlds. 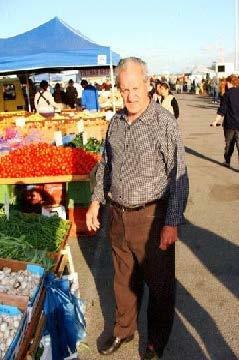 My dad and I would visit the Torrens Island Market which is an outdoor market near the sea. The atmosphere is filled with colors and smells of the ocean and fresh foods from the local farmers. We would be there at 6am sharp to buy half a ton of ripe tomatoes for our sauce making. Family members would arrive to Nonna’s (grandma in Italian) house to have a cup of espresso and biscotti before going through the routine of preparing the tomatoes for pureeing, bottling, and boiling. 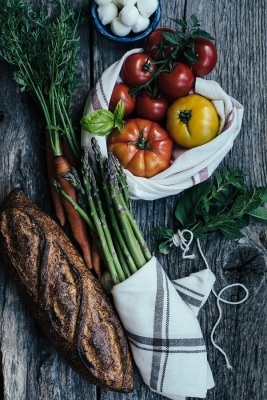 My mother, who was one of the best cooks in the world, would start arranging lunch that would typically consist of linguini with clams, eggplant parmesan (melanzane), salads, fresh Italian bread, watermelon, and of course wine. Loud Calabrese music (southern region of Italy) was always in the background while the family would celebrate lunch together. Occasionally, depending on the amount of wine consumed, the older generation would start dancing around the table and the conversations would get little more expressive. This was when the lemoncello (liquor) would come out of the antique cabinet before commencing the afternoon shift of sauce making. I remember my Nonna’s house like it was yesterday. My family immigrated in the early 1950’s so everything from the wallpaper to the table plates was authentic and traditionally classic. Even though there were clashes of patterns and colors, nothing felt out of place. All things of importance complimented each other. There was a perfect balance of neutral tones with heavier accents. Creating special memories isn’t all about how you decorate your space, but how you remember the moments and the everlasting impact of celebrating.